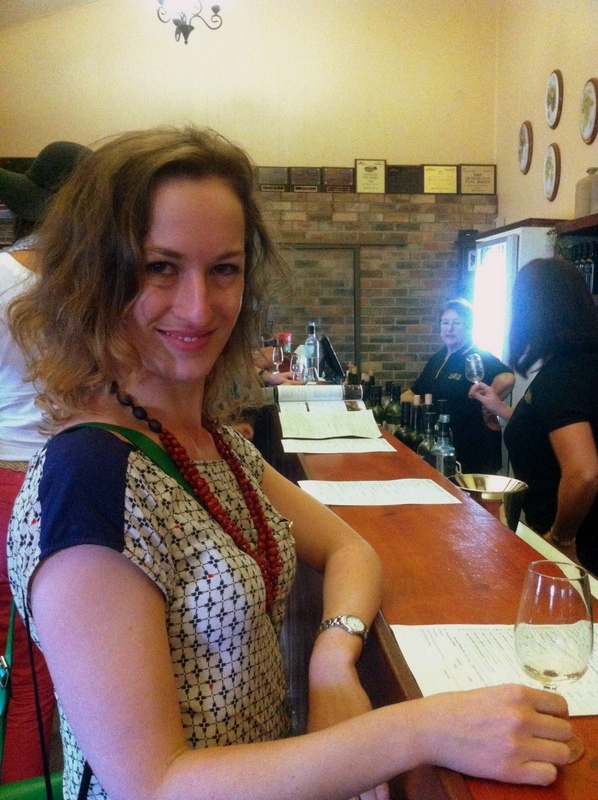 On the ANZAC Day long weekend, myself, Husband and a couple of our favourite friends piled into a Honda Jazz and drove to Stanthorpe for a weekend of wine and food. For all of us it was our first visit to the region and we were thrilled to be visiting this lonely outpost of wine-country. The weekend was also the finale to my birthday celebrations, which my loving Husband spread out over two full months, including two weekends away. (The other was in Sydney). We had been warned in advance not to expect too much in the way of quality wine, but I for one sensed that Queensland wine was severely underrated by locals. The rough assessment may have been true for a long time, but I was delighted to discover that now it is merely ingrained prejudice and Queensland wines can be complicated, experimental, cellar-able and very drinkable. Arriving late on Friday afternoon after minor car troubles, we headed straight to Ballandean Estate Wines, one of the few cellar doors we knew would be open later in the afternoon. 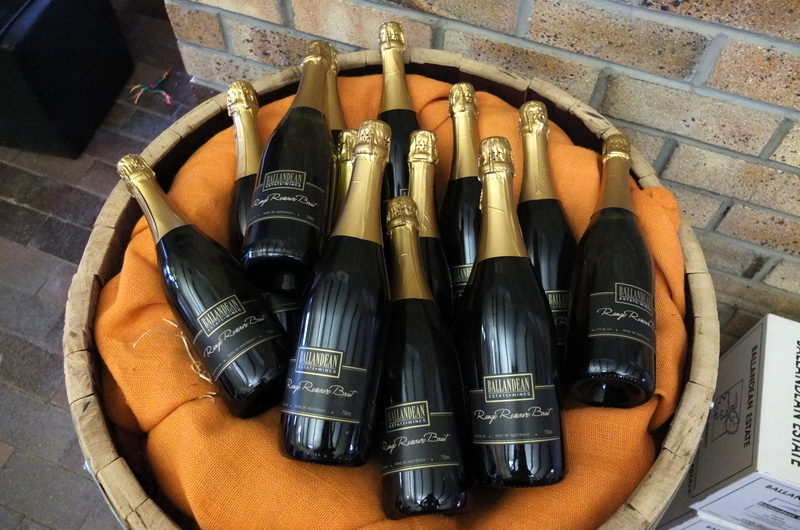 The Chalet we were staying in was fully self-catering and we had decided that while Stanthorpe had some nice-sounding restaurants, after a hard day’s tasting we would settle at home and enjoy a bottle or two. We just needed to find the bottles. My first taste for the weekend at Ballandean Estate. 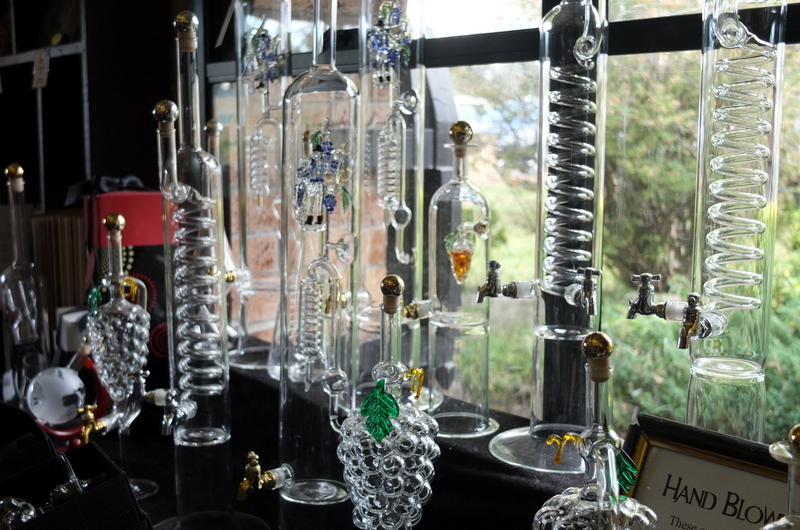 Impressive decanters on sale at Ballandean. Imported from Italy. 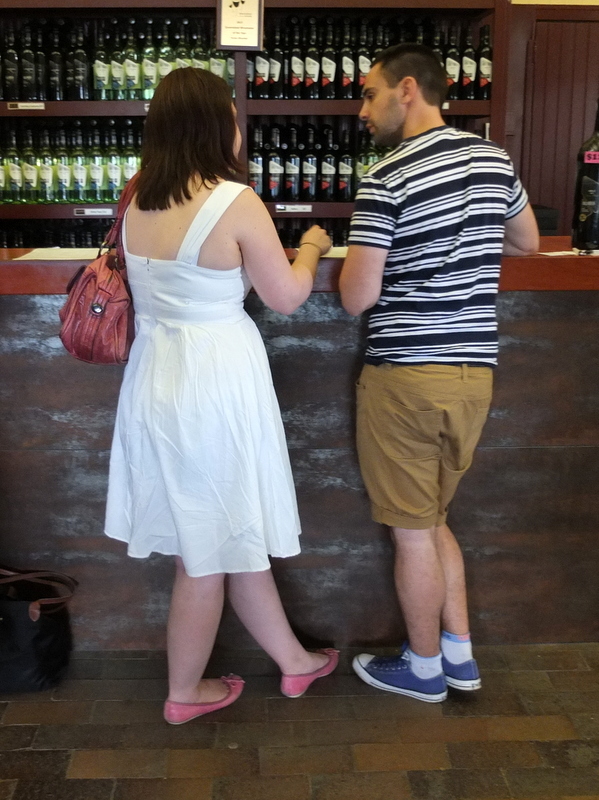 Ballandean is one of the larger cellar doors, complete with a café/restaurant capable of dealing with bus tours. It was quite busy when we arrived just before 4 and we squeezed on to the end of the bar. We were taken through the long tasting menu but I kept being distracted by other things on offer such as local chutneys and pastes and some very impressive decanters. After an hour or so of leisurely tasting, we ordered a carton for delivery and took home three bottles for that night. All three disappeared over cheese and then roast beef in our cosy chalet with great enjoyment. A lovely start to the weekend. Munchkin. 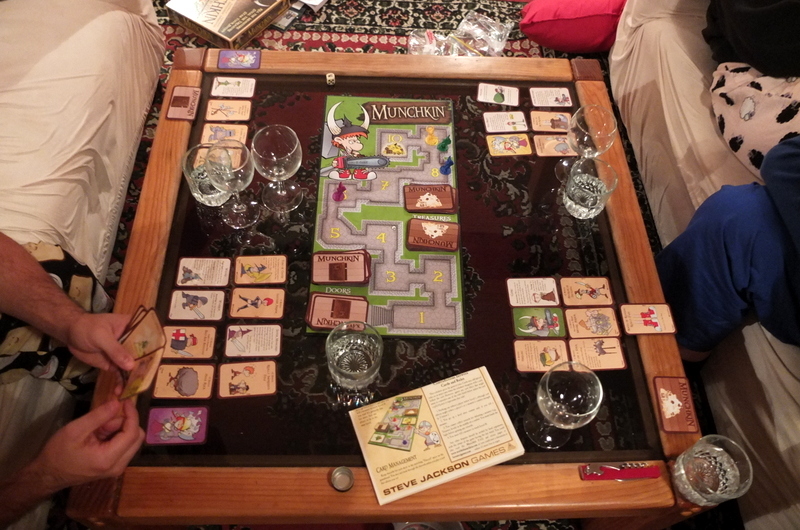 A fun board game with silly graphics that was a lot of fun over wine and cheese. Read about the rest of the weekend here: a big day of wine-tasting on Saturday and a quiet day with two wineries and apple pie on Sunday.